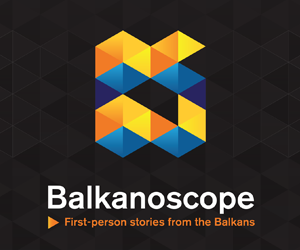 Postponement of the opening of accession negotiations with Albania and North Macedonia, unwillingness to grant visa liberalization to Kosovo and repeated messages that Serbia’s path to EU might take much longer than hoped – all of this has marked the Union’s position towards the Western Balkans during the past year. While the Enlargement Strategy published in February last year spread optimism across the region, recent statements coming from France show that discouraging trend for the backers of the region’s EU-membership might not be over. 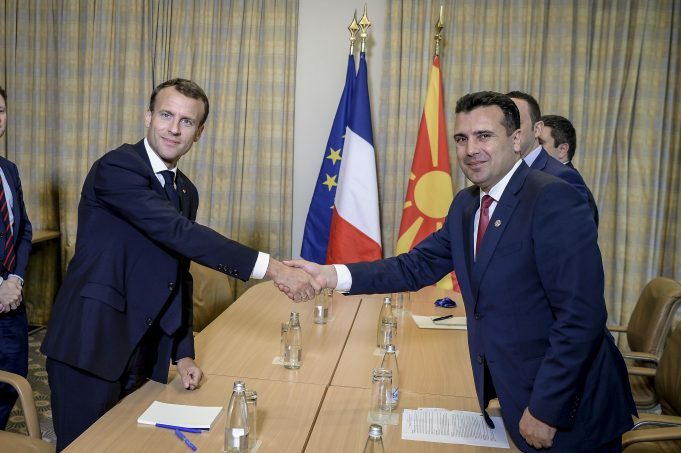 There has been a lot of rumors that the French President Emmanuel Macron might not keep his 2018 promise and support opening of the negotiations with Albania and North Macedonia in June, after the European Parliament elections are over, believes Senior Associate of the Democratization Policy Council Bodo Weber. Even though he personally expects that Macedonia will be granted the opening this year (and remains reserved about Albania, where the situation has gotten more complicated due to the political crisis), Weber also highlights the dangers of an opposite scenario. 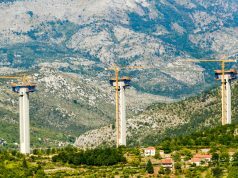 “Delaying the decision in 2018 has already complicated the Prespa agreement process and damaged democracy and rule of law in Macedonia. A further delay the EU cannot afford”, Weber is clear. He elaborates on this claim by focusing on the example of Kosovo. Despite fulfilling all requirements for a visa-free regime – which is already in place for the countries such as Ukraine, Moldova and Georgia – it was denied the free travel by the Council of Ministers, which decided not to follow the recommendations of the Commission. “This is both a shame for the EU and a major blow to the Union’s credibility in Kosovo”, states Weber. His assessment is in the line with the recent actions of the Prime Minister Haradinaj, who, in spite of a persistent diplomatic pressure from the key EU members, still has not revoked tariffs on goods from Serbia and Bosnia and Herzegovina, imposed in late November. Weber is not alone in his warning. 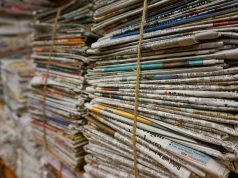 Associate professor of the University of the Peloponnese and BiEPAG member Nikolaos Tzifakis also believes that EU could compromise itself if it fails to give credit where credit is due. “Eventually, if the EU does not reward North Macedonia’s efforts, it will lose much credibility in the region and it will send the wrong message to both reform-oriented and authoritarian rulers in the Western Balkans”, he says and reminds that the situation is already more complicated this year than it was in 2018 due to the European Parliamentary elections and the postponement of the yearly country reports. He adds that the EU should not make the situation worse by repeating the events of last year – after all, the issue is opening, not closing, the accession talks with the candidates. “Albania and North Macedonia will normally need eight more years to reach the point of becoming EU members. Therefore, the EU has sufficient time to resolve its problems prior to the accession of either of these two countries”, Tzifakis underlines. That the decisions expected from the EU are not nearly as consequential as, for example, the Big Bang Enlargement of 2004, can also be seen from the example of Serbia. Even though Enlargement Strategy states that only Serbia and Montenegro could join in 2025, in the recent debate this deadline was questioned by French MEP candidates when nine out of twelve participants expressed their opposition to Serbia entering the EU. This message, sent from almost all French political parties, including the ruling party of the President Macron, indicates that the state of the country’s accession process could be misrepresented for political purposes, thinks Secretary General of the European Movement in Serbia Suzana Grubješić. “Serbia’s accession into the EU is not near at all, and therefore should be a non-issue, particularly now during the European Parliament election debate”, she states. One of the candidates on stage was Nathalie Loiseau, former Minister of European Affairs, who already sparked a lot of controversy during her visit to Belgrade in February, when she stated that the current state of the European Union does not allow for new accession. That statement was in the line with President Macron’s policy of “internal reform before enlargement”, introduced for the first time during the 2018 Sofia Summit. However, Grubješić reminds that the dilemma between deepening and widening of European integration is old, and, according to her, false. Bodo Weber agrees that this dilemma is everything but not new because the same argument has been present in the EU since the start of the EU crisis and enlargement fatigue in 2009. “In reality, the EU does not have the luxury of choosing one over the other, it has to do, continue to do both in parallel”, Weber says. Another way to interpret the lack of enthusiasm for any decision that would bring Western Balkan countries one step closer to the EU among some of the member states is their internal political situation, Weber adds. “This is especially true for the Netherlands and Denmark, which also voted against opening of negotiations in 2018, a consequence of ruling parties giving in to populist pressure”, he explains. The newest Eurobarometer survey helps understand why such pressure exists. Only 43% of EU citizens support the enlargement, with 45% opposing it – it is the least popular policy of the Union. It would be hard to pin down a single most important factor behind this sentiment. Public concerns regarding illegal migrations, economic challenges caused by global disruptions of different kind, sense of personal insecurity – these are the factors dictating EU member states’ attitudes towards the future of EU and its policies, including its enlargement, emphasizes Chairman of the Governing Board at the European Policy Centre and BiEPAG member Srđan Majstorović. He agrees that some EU governments have succumbed to the populist agenda, deciding to make short-term tactical gains in the forthcoming European Parliament elections, rather than trying to redefine the EU based on clear and strategic view of where and how it sees itself in 21st century. What is worse, populism has not been recognized in the EU alone, but also in the region. 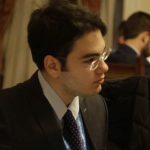 “Unfortunately, we cannot escape the reminder that leaders who were accepted as the reformist champions in the region turned their political courses and slipped into the comfort of nationalism and populism once the EU perspective became vague. If that happens again, the biggest losers will be citizen of the region who will continue voting by their feet, tired of fake Europeanization”, Majstorović says and underlines that the current situation can only lead to a lose-lose scenario for both the EU and the Western Balkans. This brings back the question of potential consequences of such political strategy – it is unclear how long the trend of discouraging decisions may last before it causes a counter-reaction. Support for EU membership is still relatively high in the Western Balkans, but this can also change – the case of Serbia, in which a positive answer to a referendum question on EU membership went from 73% in November 2009 to 41% in December 2012, before stabilizing at the current 55%, certainly proves the possibility.